GO riders who use the second busiest bus hub in the regional transit system, now have a sheltered station in which to wait for their ride at the Square One terminal. The new $6.5 million facility means “customers travelling through the bus terminal will have a more convenient, comfortable and efficient experience getting to where they need to be,” said Transportation Minister Steven Del Duca on Thursday. The terminal near Station Gate Rd. and Centre View Dr. will serve about 20,000 daily GO bus riders and include staffed ticket windows, fare vending machines, washrooms, a waiting area and monitors displaying bus routes and platforms. There’s also a new public address system along the bus platforms outside. The new terminal will connect with the Hurontario LRT. The province announced it would fully fund that $1.6 billion project exactly a year ago, noted Mississauga Mayor Bonnie Crombie. “More people come to work in Mississauga daily than leave and, over the next two decades, Peel Region will need to accommodate approximately 150,000 jobs and over 300,000 people, many of which will locate right here in downtown Mississauga. Nearly a quarter of that growth is expected to live and work in the area immediately surrounding the Hurontario LRT corridor,” she said. 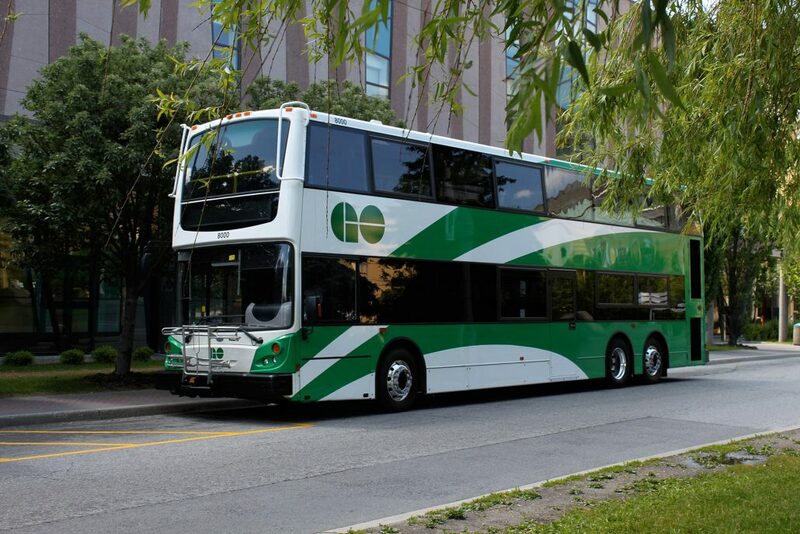 “People travel from this location not just within Mississauga but as far as Waterloo and Kitchener and to McMaster University, along the 407 corridor across the top and through the eastern parts of the region so this is a really important facility,” said Metrolinx CEO Bruce McCuaig. “Having the right facilities and services in place for our customers is critical for this very important transit link,” he said. The new GO station sits north of the Mississauga MiWay bus terminal and the new transitway bus route that won’t be complete until next year. “We’ve been planning all the different pieces so they all connect together and ultimately provide the best possible service for the customers,” said McCuaig. Metrolinx has suffered some political heat in Mississauga recently for the construction of a washroom overlooking residential back yards on the new transitway. The busiest bus terminal in the GO system is at Union Station which sees about 55,000 riders a day.